After months of teasing the next major Windows 10 Update, the Creators Update, is finally upon us. Microsoft Corp. has announced its worldwide roll out of April 11. Likewise the Surface Studio will be launching in Canada on April 20. The Creators Update is the Windows 10 update designed for all the creators of the world. It features three core concepts: 3D and mixed reality, faster ways to share and connect with family and friends, and 4K gaming experiences. 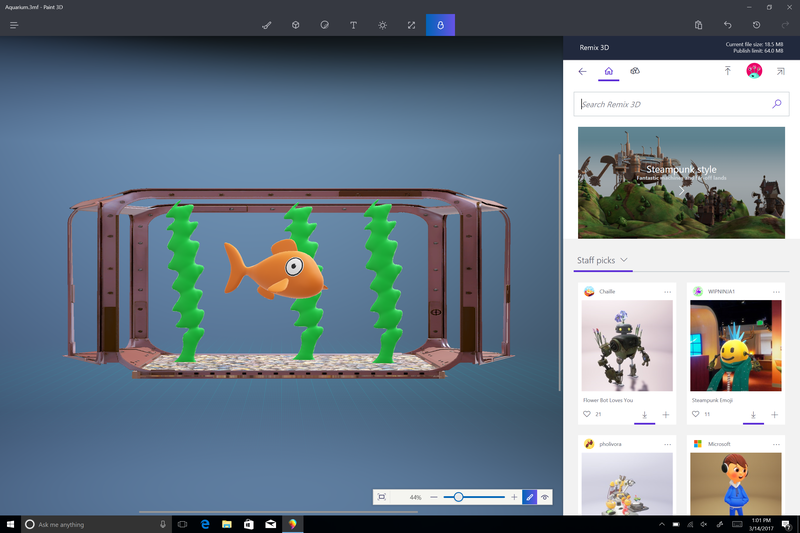 Microsoft see’s this new generation of technology users growing up with 3D from the start, and the Creators Update will offer more tools than ever before for any user to take advantage of that. “With the Creators Update, we want to have the effect of the Gutenberg Press on the computing industry,” said Terry Myerson, executive vice president of Microsoft’s Windows and Devices Group back in October when the update was announced. With this update also comes upgrades to Microsoft Edge, formally known as Internet Explorer. Microsoft is claiming that with the Creators Update, Edge is “safer and faster than Chrome”, and they’re really pointing the cannon at Google Chrome here, trying to sway users back to its own browser. The Edge upgrades center around it being more secure by blocking more phishing sites and more malware, while also becoming faster. Despite the name directing users to immediately think about the creative benefits, the Creators Update does bring new security features to the table, including a new feature called the Windows Defender Security Center – a single dashboard display to control security options from one place. For more on the security features added in the Creators Update, check out Microsoft’s blog from last December. The Microsoft Surface Studio will be following suit just a handful of days after the Creators Update on April 20. This is the company’s first all-in-one desktop. It’s powered by an Intel Core i7 processor, a 4 GB NVIDIA GeForce GPU, 32 GB of RAM, and up to 2 TB of storage. Ports wise it has four USB 3.0 ports, a full-size SD card reader, a mini display port, and a 3.55 mm headphone jack. The real power behind the Surface Studio is its display. The 28 inch PixelSense Display touch screen has a 3:2 aspect ratio with 192 ppi. It comes loaded with Cortana, and users can tilt the screen to essentially create a giant tablet. The tilt doesn’t go all the way down, but it can reach a 20 degree drafting angle – perfect for the Surface Pen, which I raved about in my Surface Book i7 review earlier this year. The Surface Studio will be available at select retail locations, including the Microsoft Store and Microsoftstore.ca starting at $3,999 CAD.